Plessey has pioneered a unique engineering approach to LED plant growth light technology. By sharing knowledge with research scientists, horticulturists and growers since 2011, Plessey has developed a low energy LED solution with proven results that maximise the commercial return for customers, winning the coveted Elektra ‘LED Product of the Year’ award in 2016. The use of LED plant growth lights in commercial food production is beginning to gain traction. Years of research and trials have demonstrated the clear benefits of using LED grow lights. 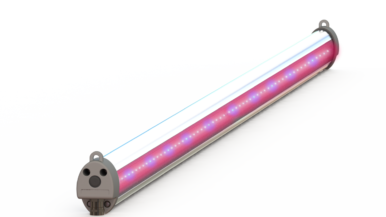 We have specifically designed Hyperion™ grow lights to deliver greater returns for commercial growers. 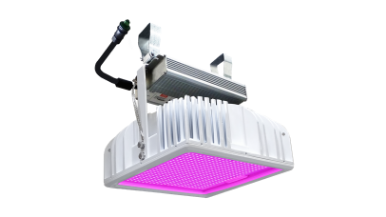 The Hyperion™ top light is 1:1 equivalent with current 1000w and 600w high pressure sodium (SON-T) grow lights – making Hyperion™ the most productive LED grow lights available.